While Google has never disclosed the exact percentage of revenue that it shares with AdSense publishers, once can easily derive that number using the earnings report that are released at the end of each quarter. 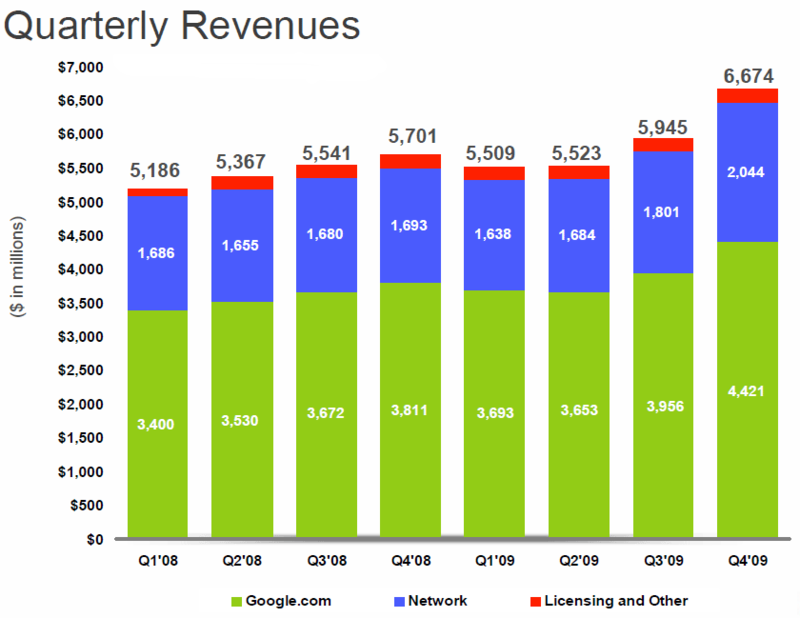 The Google Network Revenues section reflects the total revenue that was generated though AdSense while the Traffic Acquisition Costs section reflects the total amount that was paid by Google to AdSense publishers. To know the approximate revenue share, simply divide TAC with the total AdSense revenue. Here’s a quick chart comparing these numbers for the year 2009. 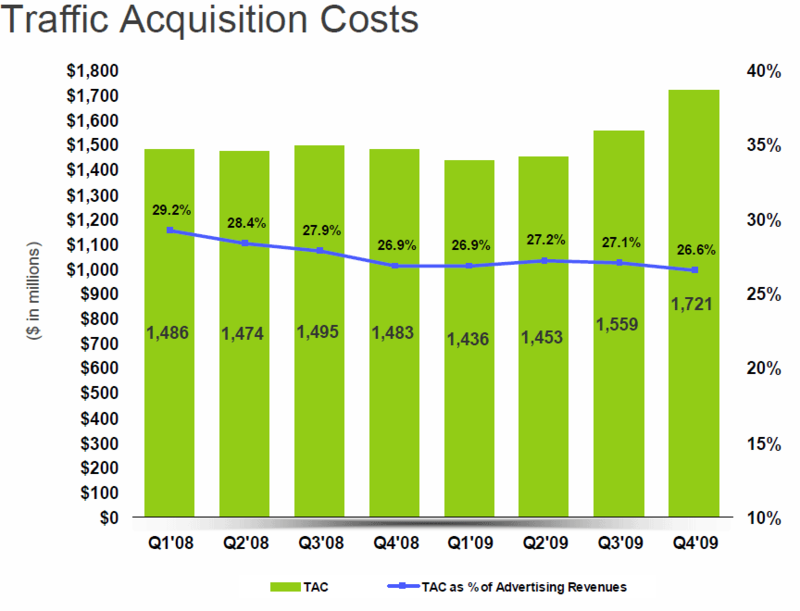 The percentage of revenue that Google is sharing with AdSense publishers has reduced from 75% in Q1 to 72% in Q4 2009. Nikesh Arora [President of Sales, Google] said that the company was considering more transparency. I confirmed with Google’s people that this was new. I suspect that they’re not going to promise the possibility and not deliver something. Update 2: Google has finally released the exact percentage of revenue that they share with AdSense publishers worldwide. Google shares 68% advertising revenue with AdSense publishers (those who use regular AdSense text, image and rich-media ads) while the split is 51-49 for ads that show up in Google Custom Search results. To give you an example, if the revenue from Google AdSense ads on your web site is $100, you (publisher) would receive receive $68 through AdSense while Google keeps the remaining $32. The standard revenue split in the agency model is 70-30. Google AdSense is also available for the YouTube partner program but YouTube /Google hasn’t yet disclosed revenue share (or split) with video producers. Google Earnings Report – Good News for AdSense Publishers? Google AdSense Turns Eight Today!